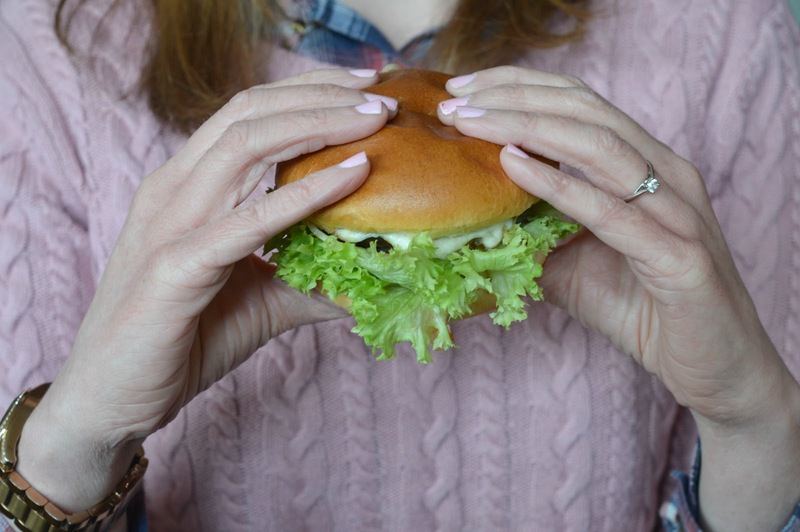 Did you know that today is National Burger Day? 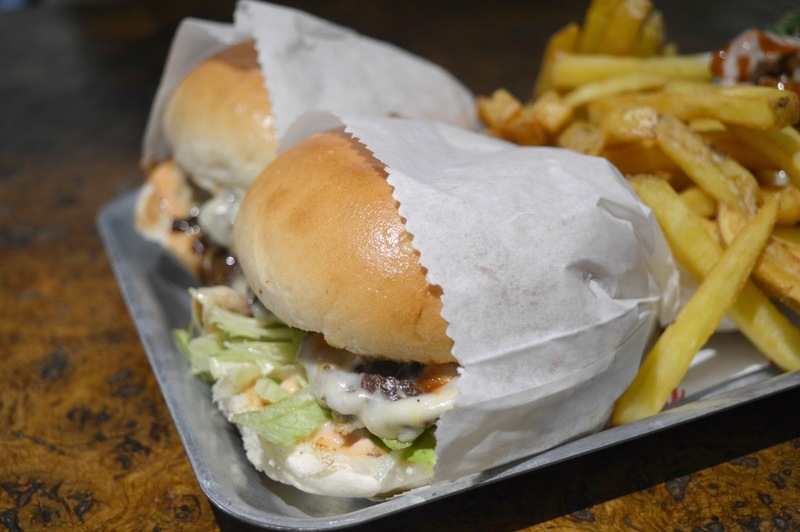 Whilst it feels like there's a national day for everything, celebrating burgers is definitely something that I can get on board with so I thought I would share with you the best burger restaurants in Newcastle. For me there are several key factors to creating the perfect burger - the meat needs to be a little pink, the bun has to be soft and the fillings have to be plentiful. A burger done badly is one of the biggest let downs for any foodie! 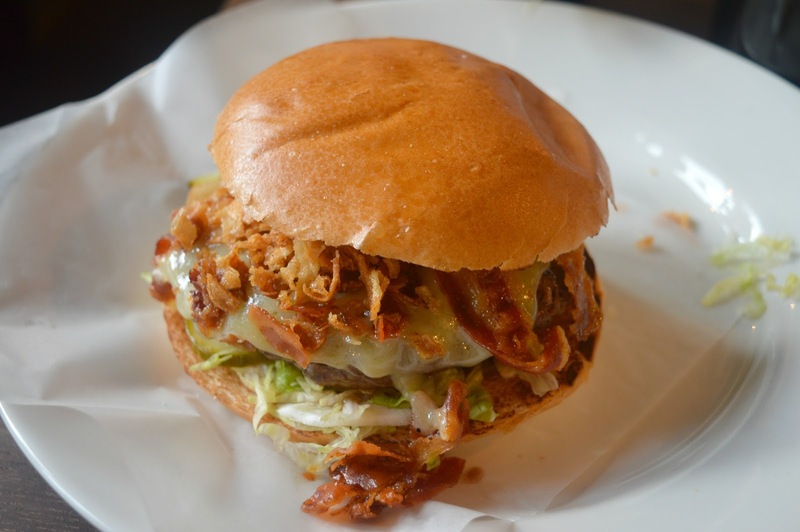 Here is my small but perfectly formed list of the places in Newcastle that do burgers right! Predictable maybe, but no matter how hard we try we just can't find a burger that beats the Fat Hippo. In our eyes they will always be the best burger restaurant in Newcastle! 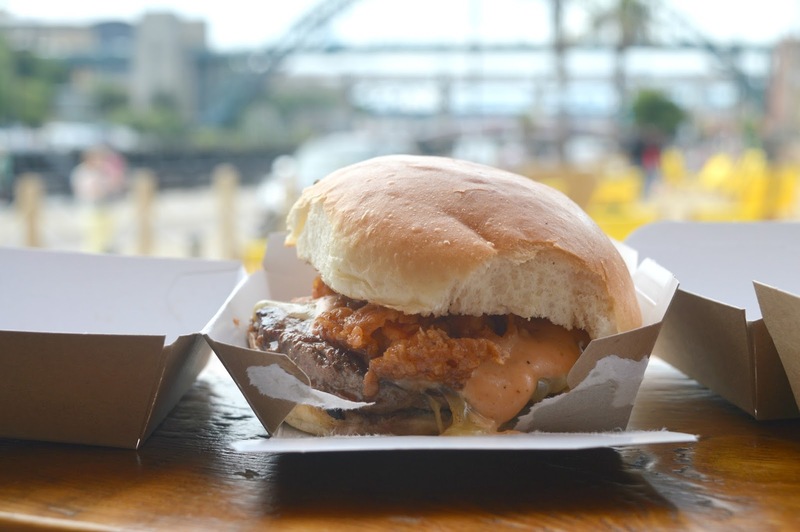 Spread across three locations in the North East (Newcastle, Jesmond and Durham) as well as popping up all over the place in their street food truck, Fat Hippo continue to serve the kind of burgers that have us all feeling super smug that we live in the North East. Their ever changing specials menu never fails to amaze me (check out their Christmas burgers and you'll see what I mean! ), they have a loyalty club for Hippo fans with a secret menu and they are one of the few places in Newcastle that leaves me so full I could never consider a dessert! We heard a lot of whispers about The Grind after they started popping up on the street food scene in the North East. Some said they were (dare we say it) better than Fat Hippo, Simon refused to even entertain the idea but they certainly had my interest so I finally managed to convince him to check them out! Currently serving burgers from a popup restaurant in No. 28 below Grainger Market (with a few rumours circulating that they might open up their own place soon! ), The Grind claim to have the best cheeseburgers in Newcastle and I think they could be right! Yes, it's a chain restaurant but out of the many burger chains that now live in Newcastle city centre Byron is by far the best. Simplistic burgers with minimum fuss the beef is freshly ground and served medium in a beautiful soft bun. The menu is pretty short with some fun specials regularly making an appearance and, if you think like my husband, you love your burgers with a thick indulgent milkshake on the side Byron is certainly the place to go. I had a bit of a love affair with the Gusto Burger when I first discovered it, I think I may have actually had it twice in one week once! No regret though as their burger is one of the very best in Newcastle and I continue to recommend it to anyone that dines in the Quayside restaurant. Served slightly pink with a secret recipe sauce on the side (I'm not sure if it's really secret, I've just never asked them what exactly goes in it!) the Gusto burger needs no frills and as soon as you bite into it you're ready to crown it the king of burgers. There we have it, the best burger restaurants in Newcastle! I'd love to know where your favourites are, I'm sure there are plenty more to try. A few people have mentioned Lola Jeans as a burger destination so that one might be on the list to try next! For more burger adventures from New Girl in Toon be sure to follow me on Instagram and Facebook. I am so with you on Fat Hippo - it can't be beaten! I was even telling Americans they have to come to Newcastle and try one! LOL!